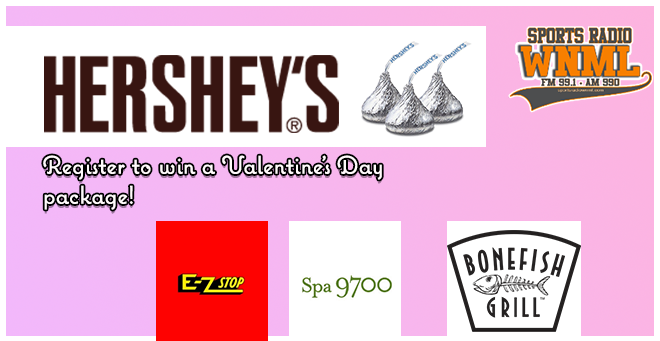 Visit EZ Stop in Powell from January 28th – February 13th to register for your chance to win a Valentine’s Day package from Hershey’s, Spa 9700, Bonefish Grill, Always In Bloom, & Irene Humbarger Photography! The winner will be chosen at random from all entries on February 13th. The winner will receive dinner, spa treatment, flowers, professional photos, and of course – Hershey’s chocolate! Visit EZ Stop and register for your chance to win this huge Valentine’s Day package!